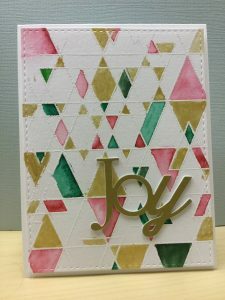 The object was to use a stamp set that wasn’t Christmas and to make it work for Christmas Supplies: Zig Clean Color Real Brush, #040, #044, #047, #029, PTI Wonderful Words:Joy, DCWV metallic gold, Versamark, Altenew Pure White Embossing Powder, Light Gold Gansai Tambi Starry Colors, Time Holtz water color paper, SSS Abstract Triangles Stamp. 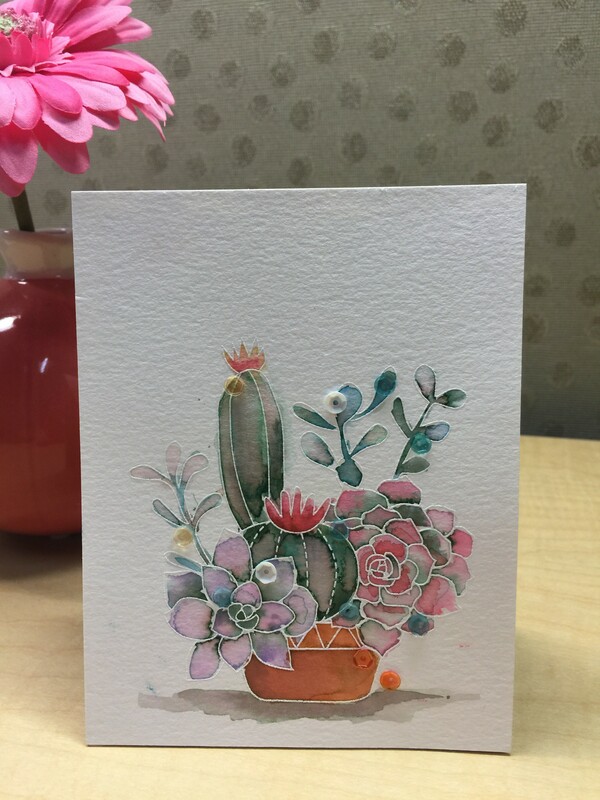 Masterpiece Inspirations was the theme for this card! 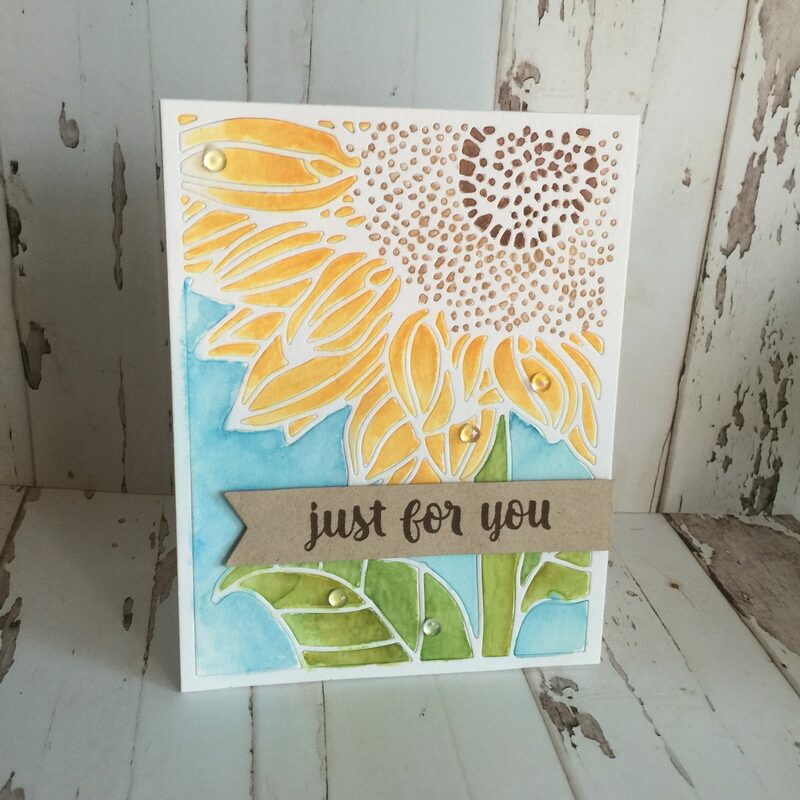 My inspiration was Van Goghs Sunflowers. Supplies: PTI Sunflower Cover Plate die cut to stay in tack on the Tim Holtz Watercolor paper, PTI inks in the colors of Harvest Gold, New Leaf, Green Parakeet, Simply Chartreuse, Classic Kraft and Dark Chocolate. 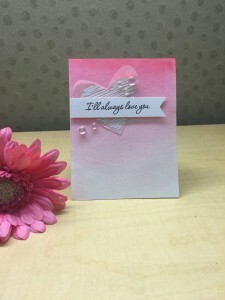 Used Desert Storm #80 card stock with LF Everyday Sentiments Banner die and PTI Keep it Simple: Just for You stamp. Accented with PTI water drops. Using white embossing powder to create layers that minic a soft and romantic look! 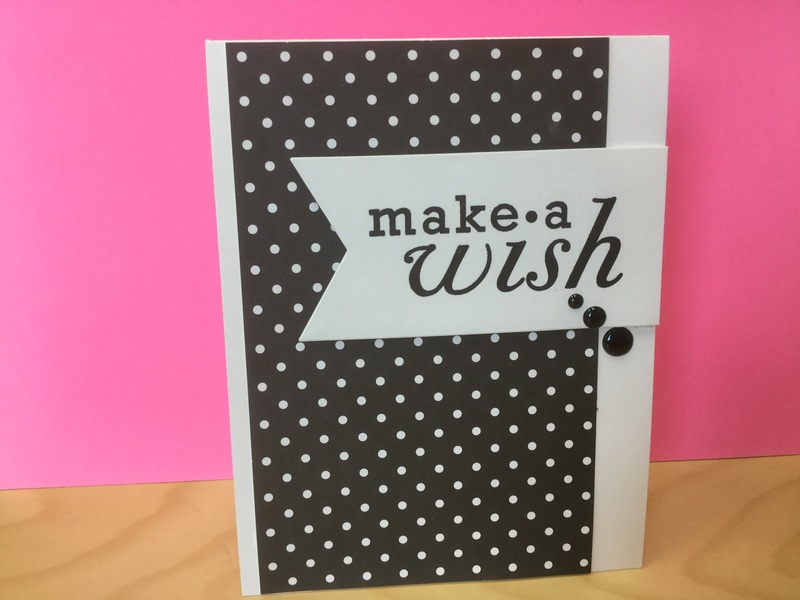 Also created a matching envelope. 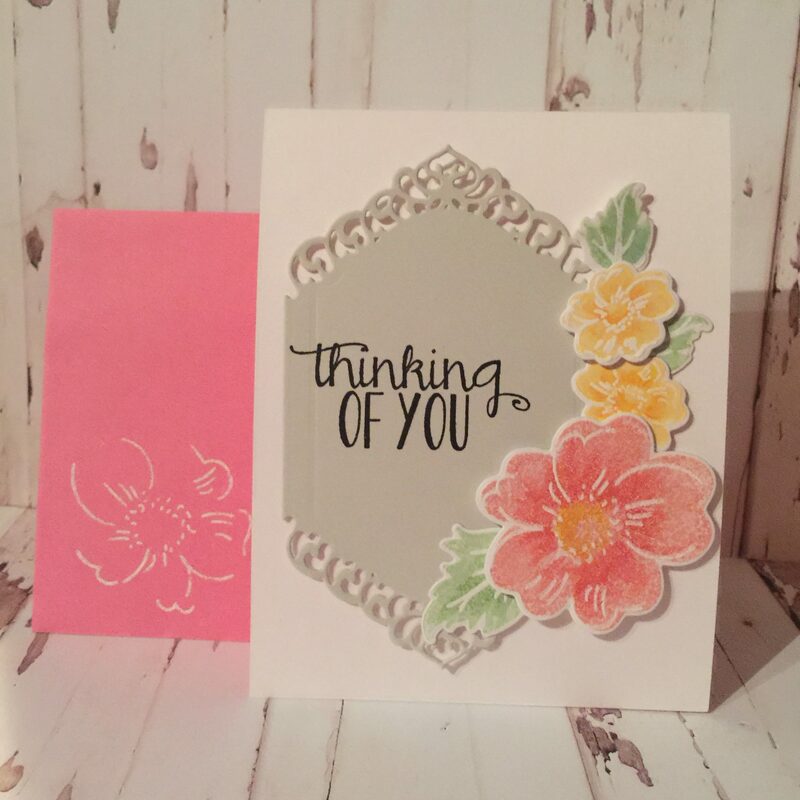 PTI Mini Booms stamp set, Versafine black onyx ink, PTI Floral Sketches and dies, PTI inks: lemon tart, harvest gold, bright buttercup, melon berry, orange zest, berry sorbet, mint julep, hibiscus burst, summer sunrise , and pale peony. 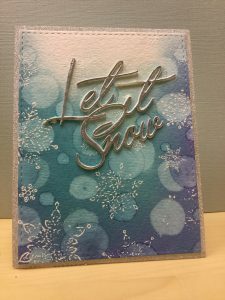 Distress embossing ink, WOW Opaque Bright White embossing powder, Spellbinders Card Creator, Nina Solar White 110# card stock, PTI gray card stock. 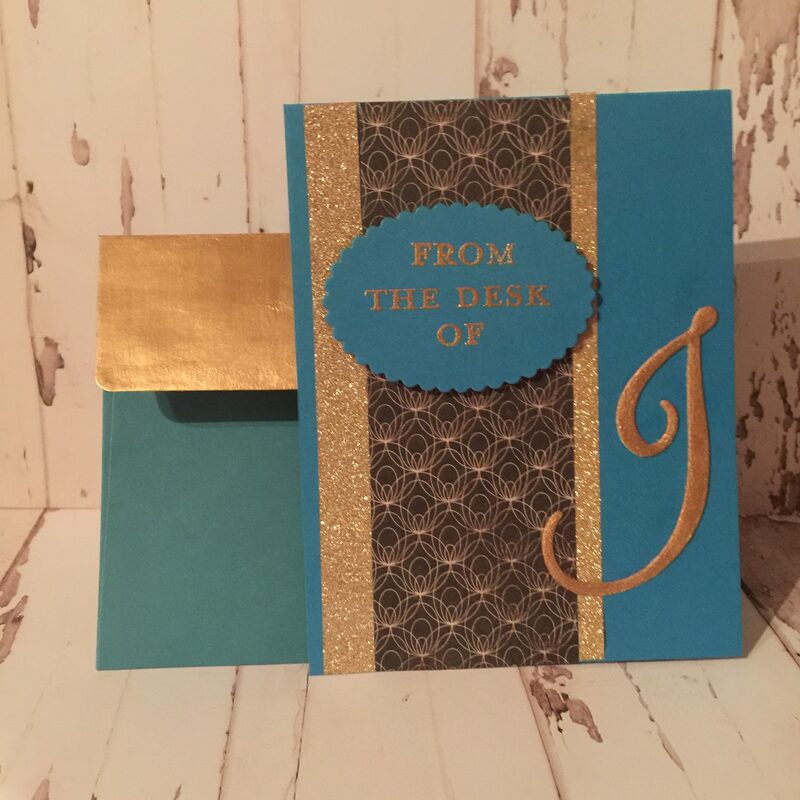 Gold embossed stationary and Monograms is the theme. 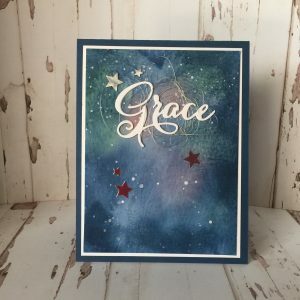 Challenge was to create a starry night scene. Using PTI’s inks of Pale Peony, Mint Julep, Aqua Mist, Winter Wisteria, Enchanted Evening on Tim Holtz watercolor paper. 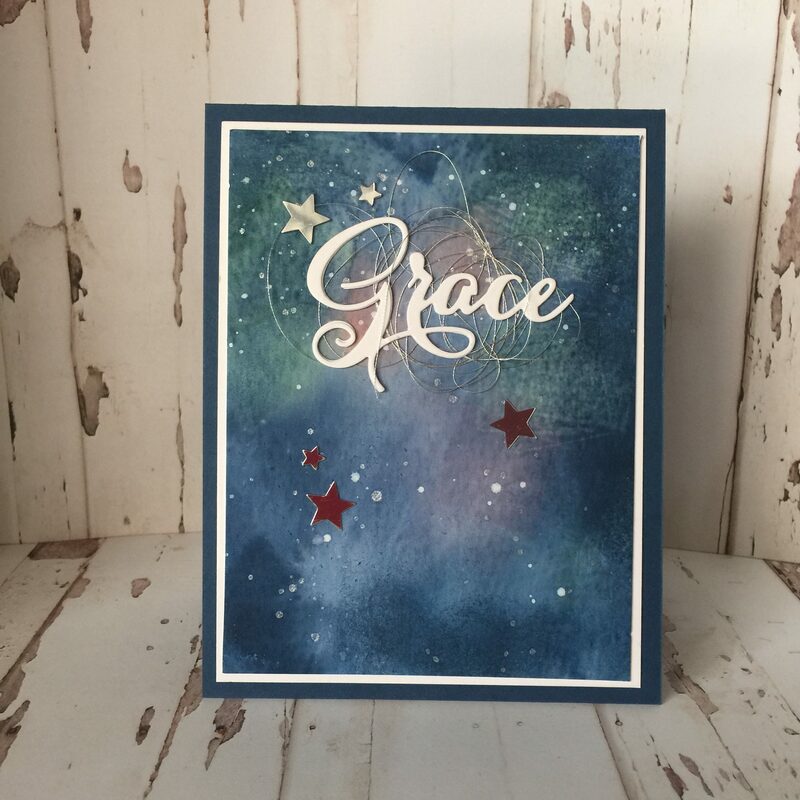 Enhanced with silver metallic thread, die cut of Grace, from PTI and star sequins from Creatology. 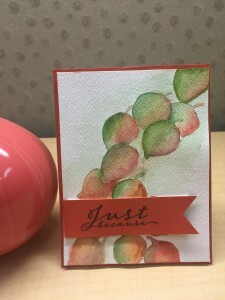 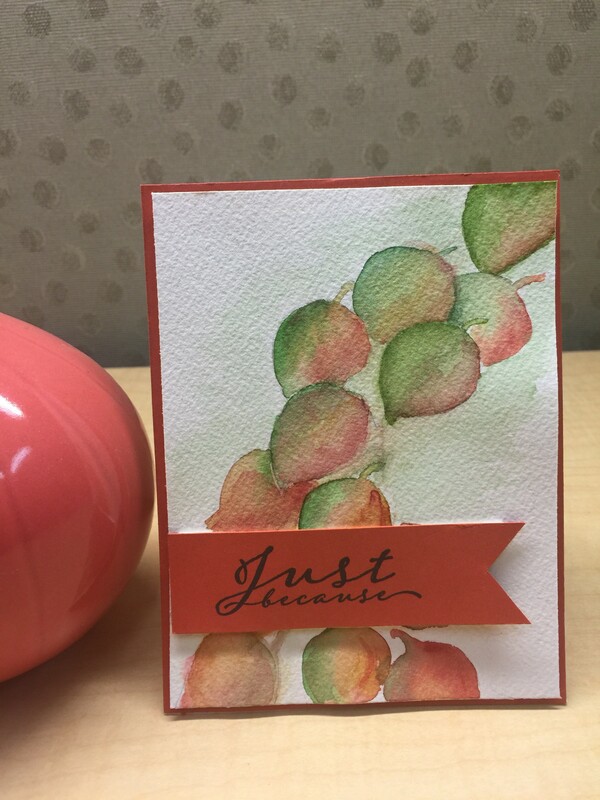 Card made with PTI inks used as watercolors.